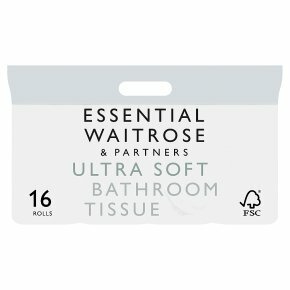 As part of the essential Waitrose range, this toilet tissue offers all the quality you’d expect at a price you wouldn’t. The pack contains 16 rolls of 2 ply tissue, each of which is made up of around 240 sheets. Though this pack is pure white, other shades are available to complement your bathroom.